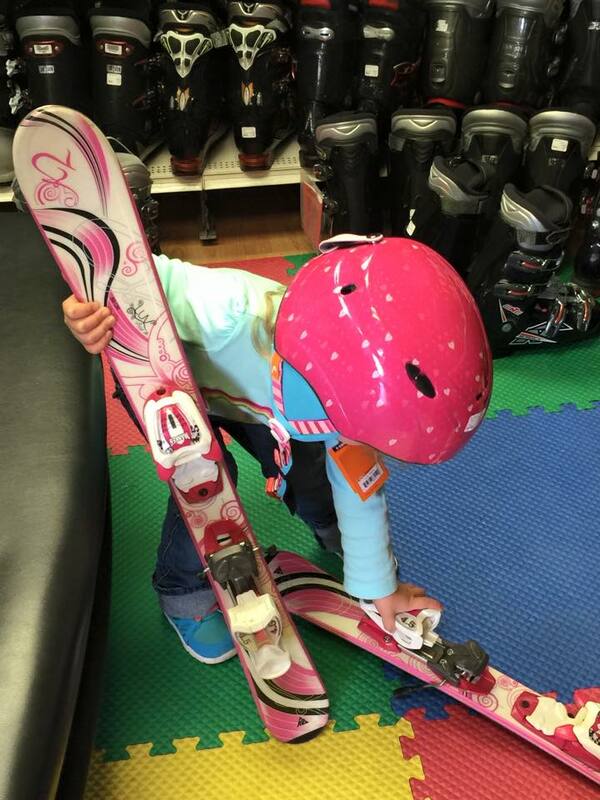 Ski package including skis, bindings and boots and snowboard package including board, boots and bindings as low as $99* per package for used gear. New gear as low as $200* per package). Bring back that outgrown gear and receive 50% discount off the next size up. Used packages as low as $50* and new packages as low as $100*. Now that is a huge deal! At Outabounds Ski and Board we put safety first. You’ll pay a small fee of *$15.00 for the ASTM binding release adjustment. Be sure to shop early for the best selection and lowest prices. Trade no longer applies when kids grow into adult gear usually at age 12 or 14.